Studies predict that by 2030, retiring boomers will create a 75% increase in need for senior care services. With staffing shortages already an issue in the industry, that growing opportunity is a double-edged sword. To compete effectively, communities will need to rethink their approach to senior living—not merely to cater to a wider range of resident needs, but to attract and retain the best professional talent as well. Transitioning from the home you’ve known to a retirement community can be overwhelming. Look for communities to place more focus on providing private, apartment-style options that promote an independent lifestyle while offering the security of as-needed, on-site assistance. As independent living becomes a primary entry point to communities’ larger continuum of care, expect accommodations to improve dramatically, offering all-inclusive residency plans, high-end amenities and more. Speaking of amenities, in 2019 on-site wellness centers, pools and spas, business centers, bistros and community gaming areas may become less a luxury than an expectation. Today’s seniors want to continue leading socially engaged lives. Stronger brands will separate themselves by providing resort-inspired amenities such as chef-driven dining, theater rooms, group gardening areas, lush walking paths, bocce ball or pickle ball courts, and socially driven programming that keeps residents mingling. As with any home-buying decision, potential residents will put a premium on living in great neighborhoods or near their favorite attractions. Communities close to downtown dining and entertainment, adjacent to trails and parks, or centered in vibrant shopping districts will be in high demand. And of course, proximity to quality healthcare services, commercial conveniences and accessible highways will remain priorities for family members and adult children. 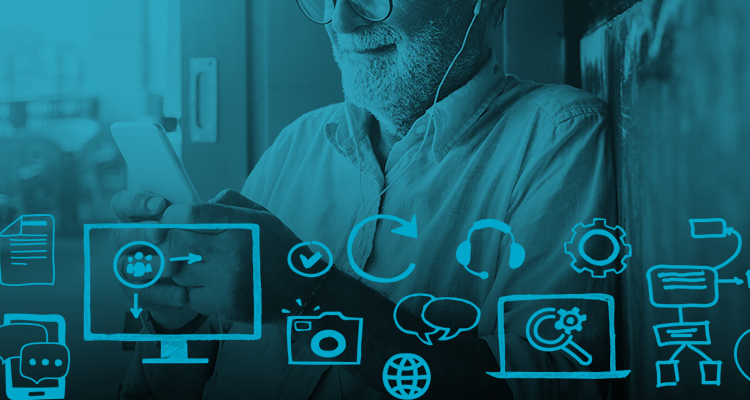 In 2019, more providers will adopt a range of emerging applications and services designed specifically for senior living communities, residents, and caregivers. From smartphone-enabled point-of-care systems that enhance caregiver services to social applications that connect residents with physicians and family, these tech-based programs will provide a secondary level of accountability for staff and improve overall comfort and engagement within communities. Is your community looking for fresh ways to attract new residents, maintain census and grow you brand? Download the case study now! Take a look at the ideas that make us wërk. ©2019 Imagewerks Marketing. All Rights Reserved.